Masquerading as "humanitarian intervention," Washington launched full-force barbarism on six million Libyans, all endangered by America's latest intervention. -- dismantling "the entire civil and military apparatus of the state," replacing it with "colonial officials, paid mercenaries and unscrupulous and corrupt satraps" - puppets, figures As'ad AbuKhalil calls "useful idiots." "The entire modern professional class is targeted (and) replaced by retrograde religious-ethnic clans and gangs, susceptible to bribes and booty-shares. All existing modern civil society organizations are pulverized and replaced by crony-plunderers linked to the colonial regime. The entire economy is" disrupted by "shock and awe" bombings and ground attacks, affecting essential civilian infrastructure on the pretext of destroying military and "dual use" targets. As a result, mass casualties follow, many post-conflict from disease, homelessness, starvation, depravation, and environmental contamination. 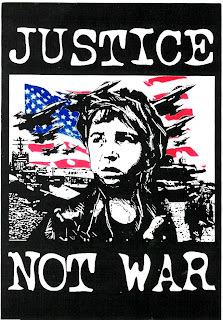 All wars are ugly, especially modern ones Washington wages, unleashing full force human and overall destruction, mostly affecting noncombatant men, women and children - imperialism's hidden victims. Already, unknown hundreds of Libyans have been killed, wounded, or disabled, besides countless numbers affected overall. Expect much worse ahead, including violent, US-backed proxy insurgence, perhaps later joined by Pentagon troops if current air and ground attacks don't accomplish "Operation Odyssey Dawn's" objectives. In addition, Article 2(3) and Article 33(1) require peaceful settlement of international disputes, not "shock and awe" attacks. Article 2(4), in fact, prohibits force or its threatened use, including no-fly zones that are acts of war. Ostensibly to protect civilians, Resolution 1973's paragraph 4 authorized Member States "to take all necessary measures...." As a result, a giant interventionist loophole was created they knew Washington would exploit. Under paragraph 6, moreover, "establish(ing) a ban on all flights in the airspace of the Libyan Arab Jamahiriya in order to help protect civilians," in fact, harms them by US "shock and awe" attacks. Further, paragraph 7's authorization for "flights whose sole purpose is humanitarian" denies them because Pentagon-controlled airspace will destroy any encountered Libyan aircraft, claiming it hostile, not delivering food, medical or other essential supplies or personnel. In addition, supplying insurgents with weapons and munitions violates paragraph 13, "Call(ing) upon Member States, in particular States of the region, acting nationally or through regional organisations or arrangements, in order to ensure strict implementation of the arms embargo established by paragraphs 9 and 10 of resolution 1970 (2011), to inspect in their territory, including seaports and airports, and on the high seas, vessels and aircraft bound to or from" Libya. In fact, besides covertly supplying its own weapons, Egypt, Saudi Arabia, and perhaps other regional and/or NATO countries are arming insurgents, at the behest of Washington - violating Resolution 1973. In addition, "coalition" participation is fig leaf cover for US aggression. AFRICOM's General Carter Ham has full command authority, directing UK, French and other belligerent partners, besides America's full air, sea and ground might. Expect protracted conflict, perhaps "boots on the ground," putting a lie to Obama's promise for "humanitarian intervention" to end in "a matter of days, not weeks." Already, insurgency has been ongoing for weeks, perhaps months covertly, the worst yet to come, but already conditions are bad. They always are when Washington arrives. 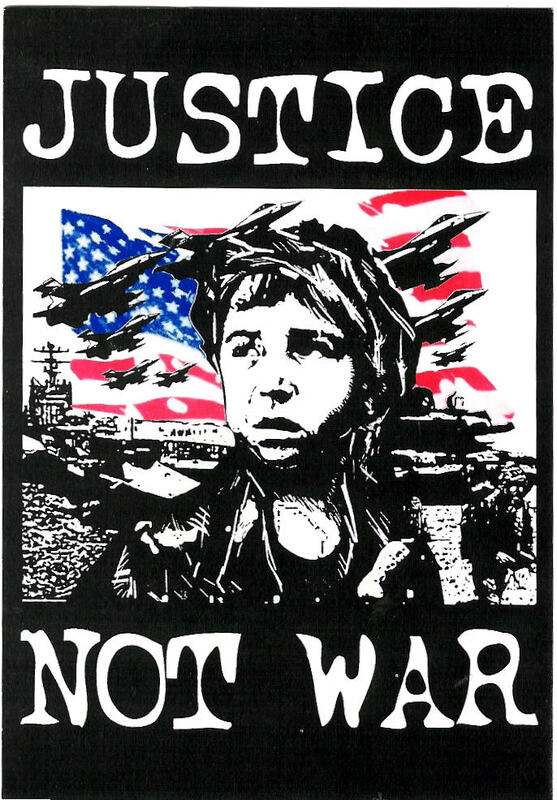 Since the 1991 Gulf War, Washington used nuclear weapons covertly - in depleted uranium (DU) form. Contaminating exposure is deadly. All US missiles, bombs, and shells have solid DU projectiles or warheads in them. Even bullets because in all forms, DU-tipped munitions easily penetrate armor, irradiating air, ground and water when used. DU, in fact, painfully kills from later contracted illnesses and diseases, including cancer and many others. Moreover, DU use is illegal under international law. Although no specific convention or treaty bans radioactive weapons, including DU, they're, in fact, illegal de facto and de jure under the Hague Convention of 1907, prohibiting use of any "poison or poisoned weapons.